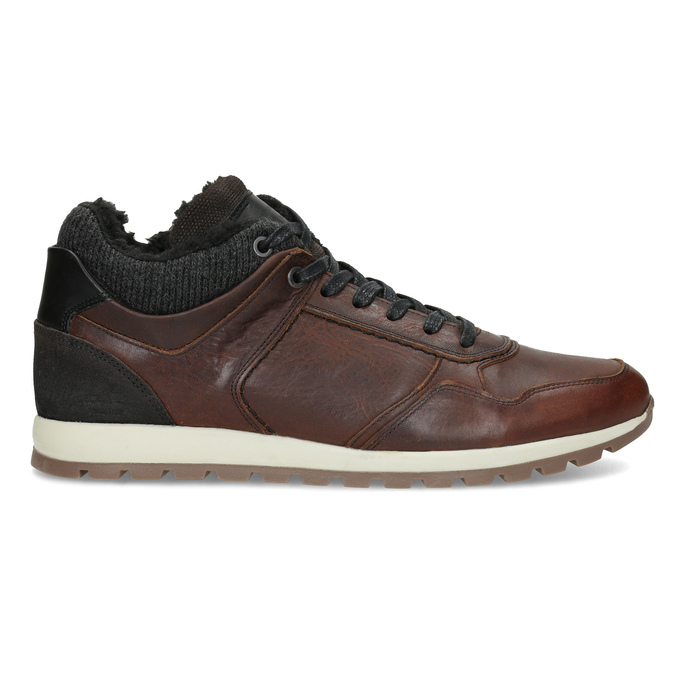 These men's high-top sneakers are the perfect choice for adding the finishing touch to your urban winter outfit. 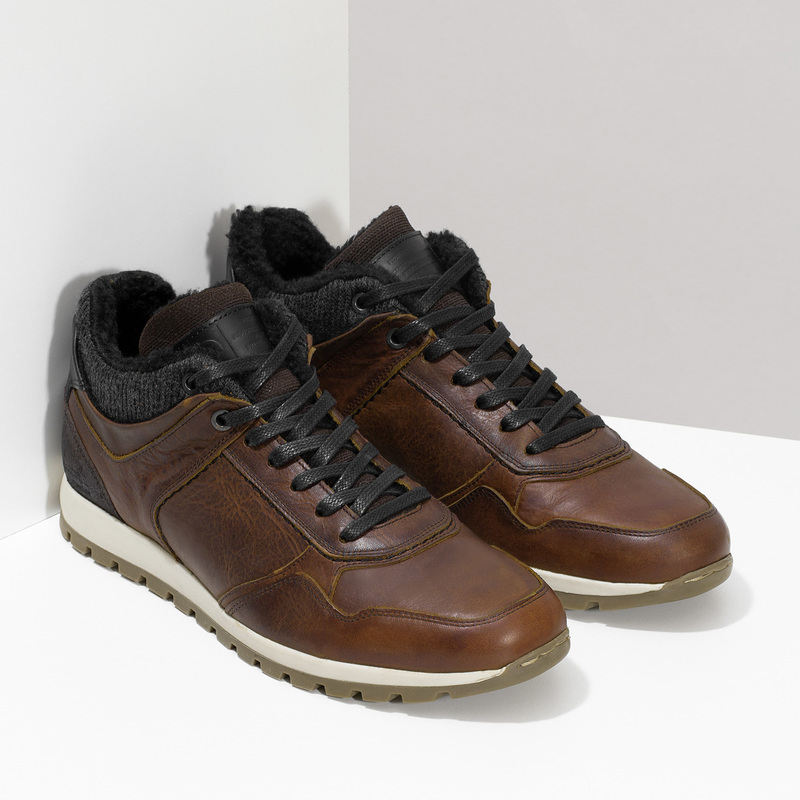 They feature a leather upper with bold stitching, and the dark-coloured heel counter with an embossed logo add an element of interest. 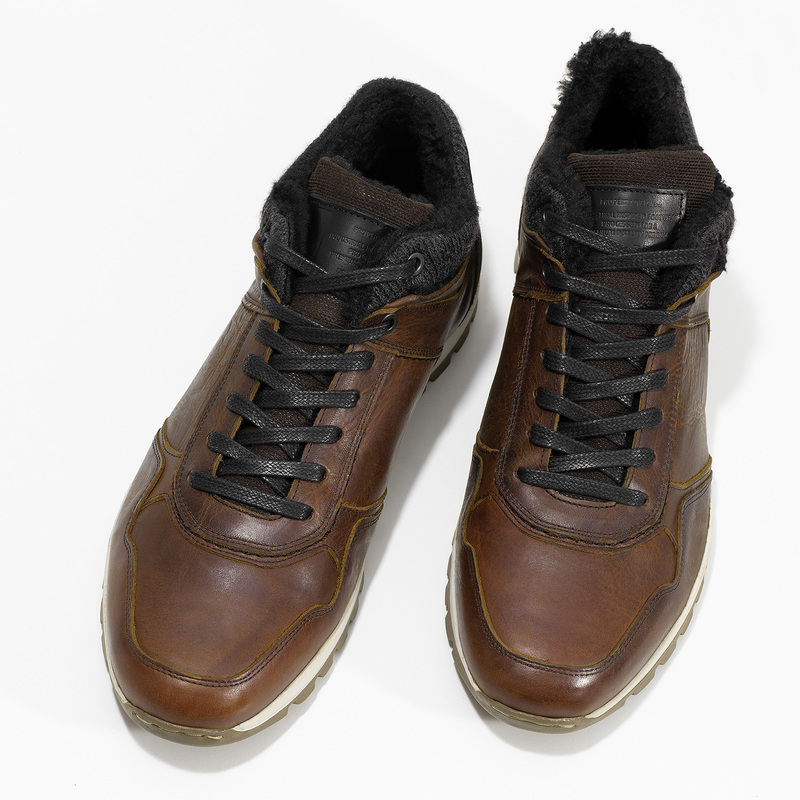 You will no doubt appreciate the warm fleece inside that keeps your feet warm. 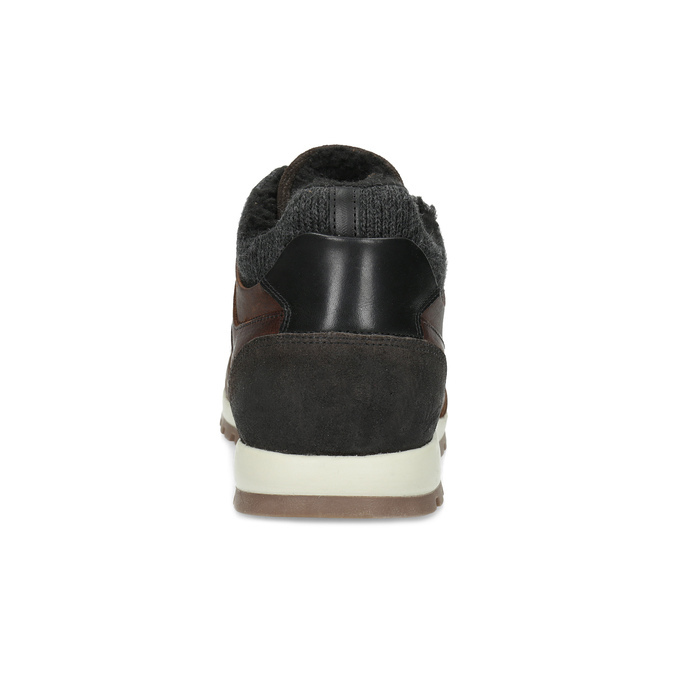 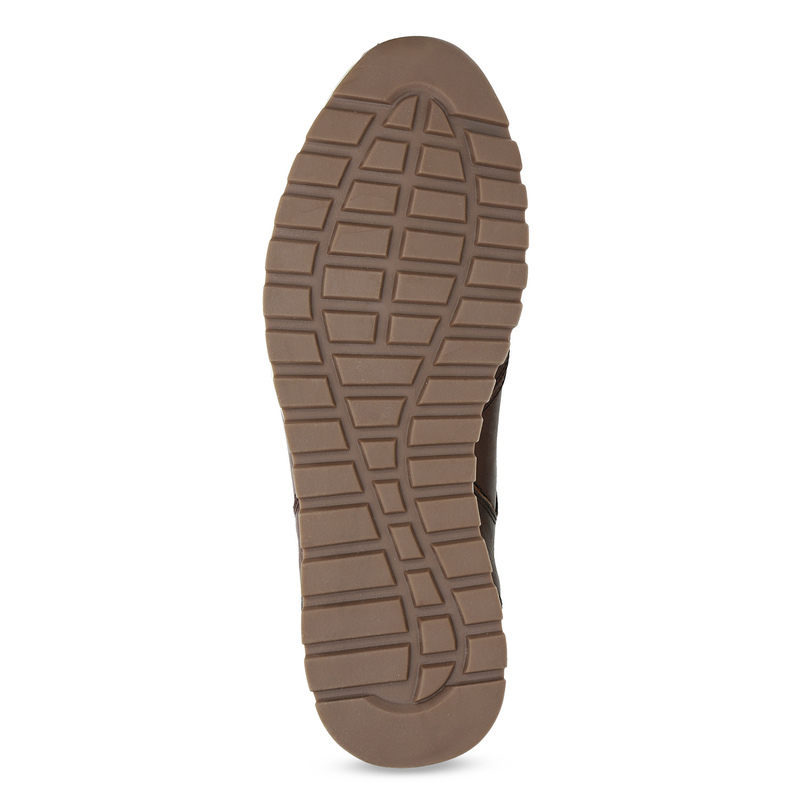 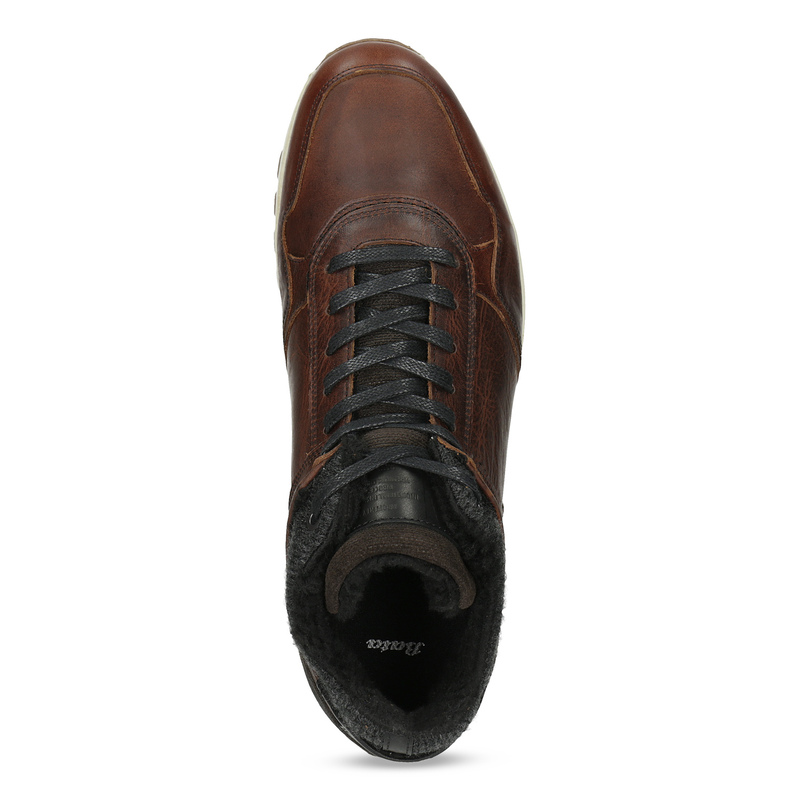 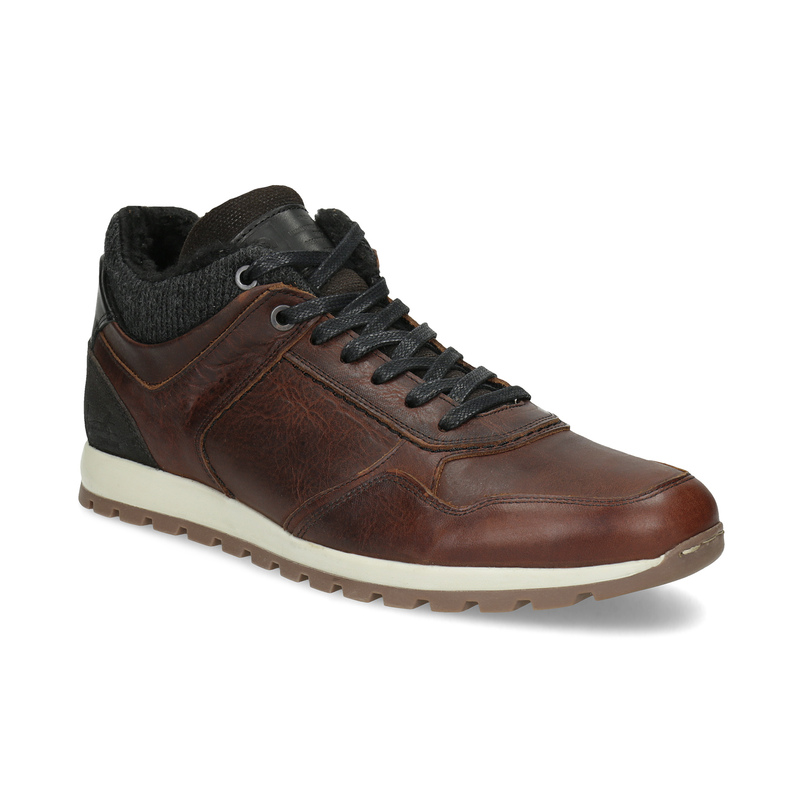 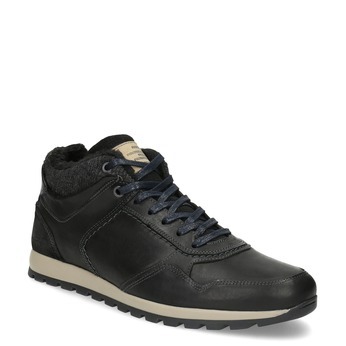 These shoes have a comfortable, grooved sole, and go well with chinos or ripped jeans.